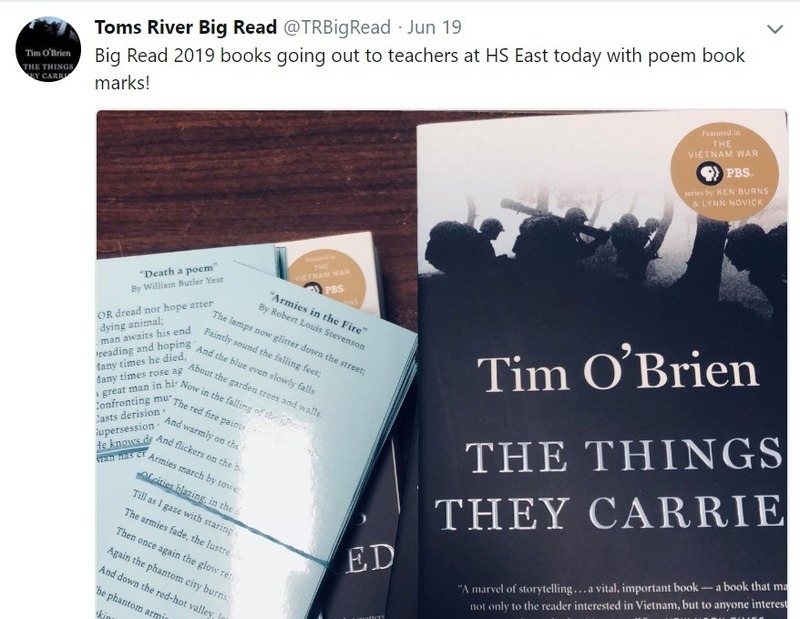 For the second consecutive year, out of only 75 institutions nationwide, Toms River Regional Schools has been awarded a grant and selected to host NEA Big Read, a community-wide literacy campaign centered on one novel. 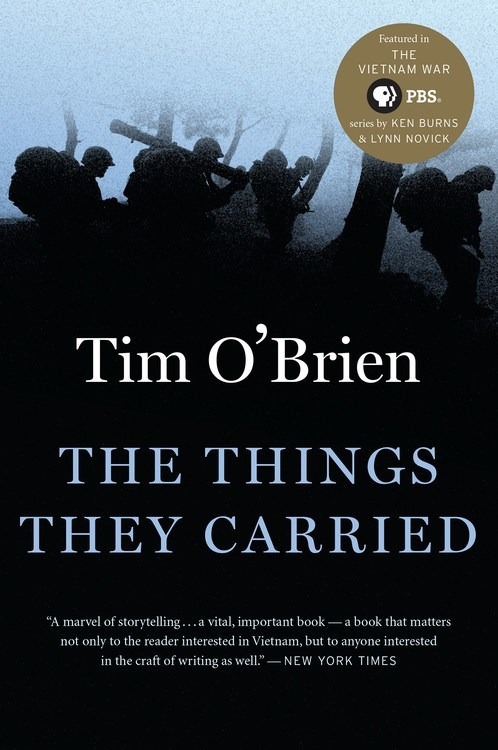 The 2018-2019 program will run Jan. 23 through March 28, 2019, and our book of choice is the powerful Vietnam War-era novel by Tim O'Brien, The Things They Carried. 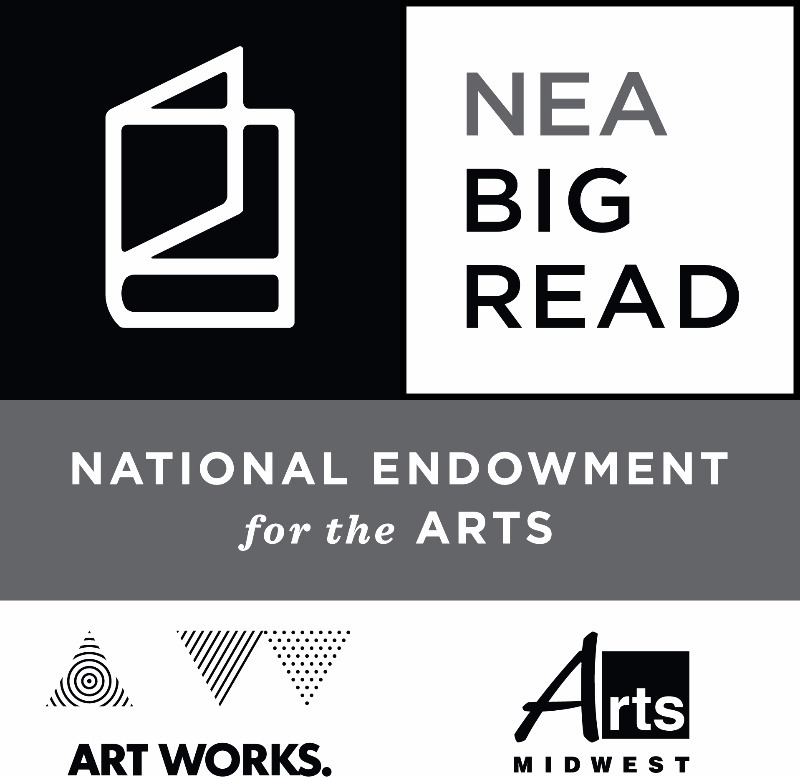 Mark your calendars for NEA Big Read events taking place this year beginning Jan. 23. 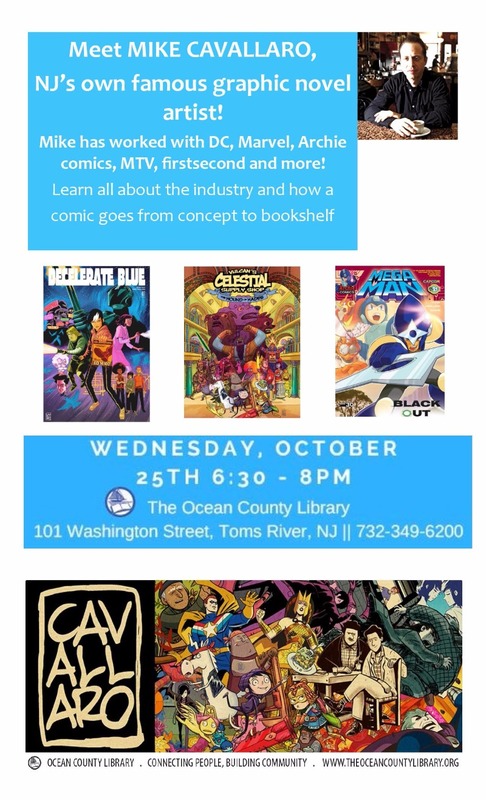 Click here to register for the fantastic slate of programming happening at the headquarters of our primary Big Read partner, Ocean County Library. 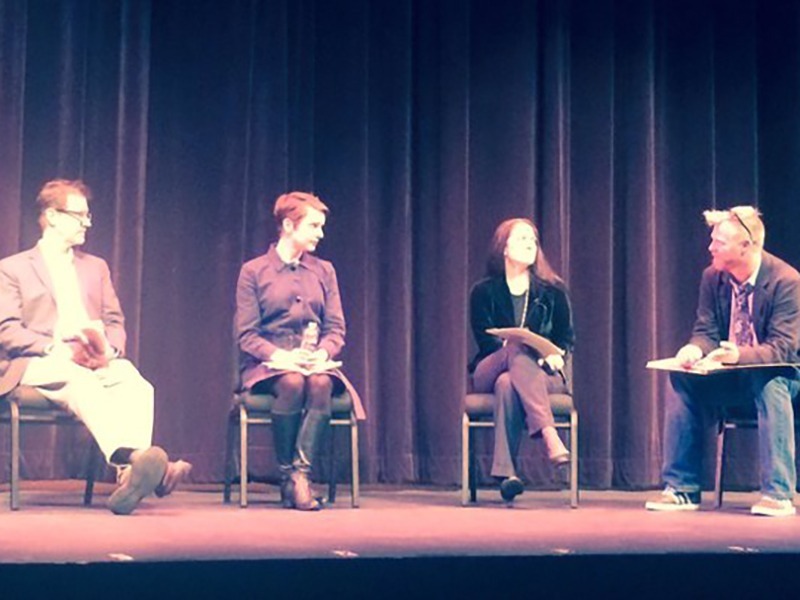 The Visiting Writers' Reading Series at Ocean County College features free screenings, lectures, and a visit from Tim O'Brien. 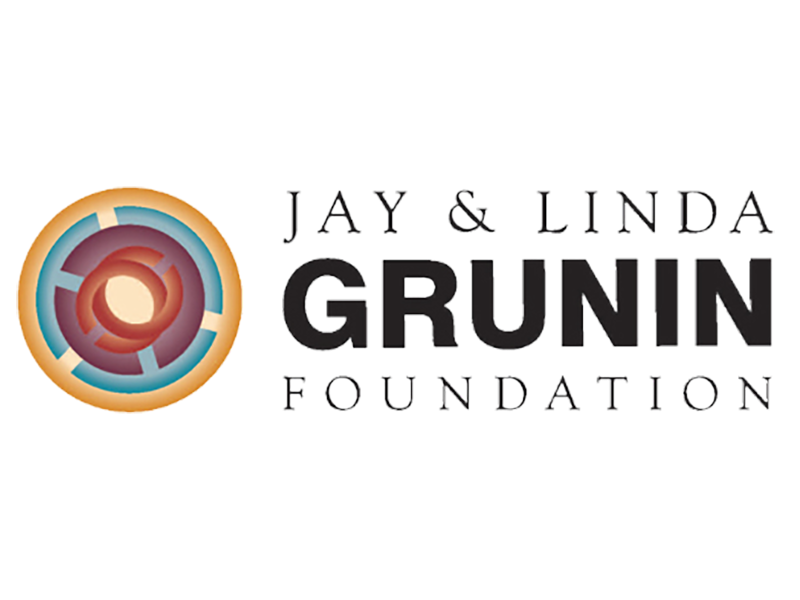 Find out how and why we earned this grant for the second straight year. 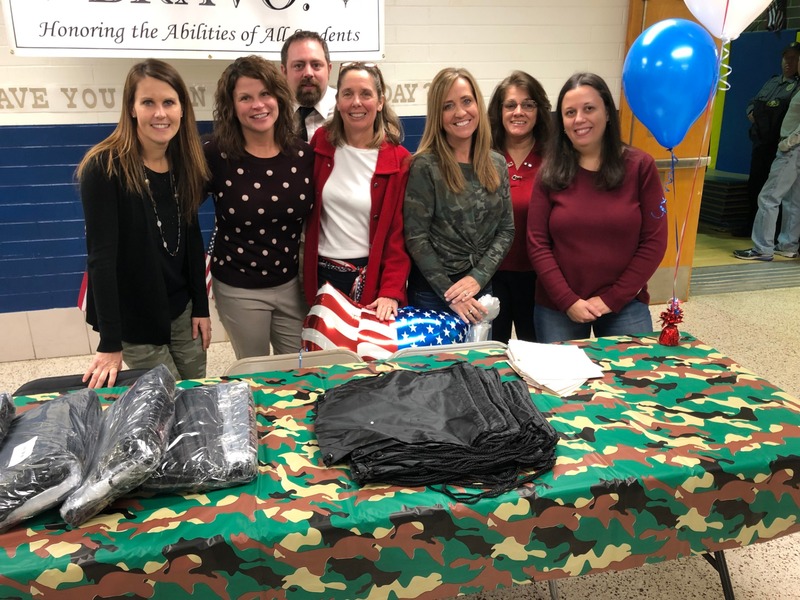 For for its final NEA Big Read activity, High School East handed over donations to Always Supporting Our Military. Students from High School North visited the Protectors of Freedom monument at Bey Lea Park as part of NEA Big Read. 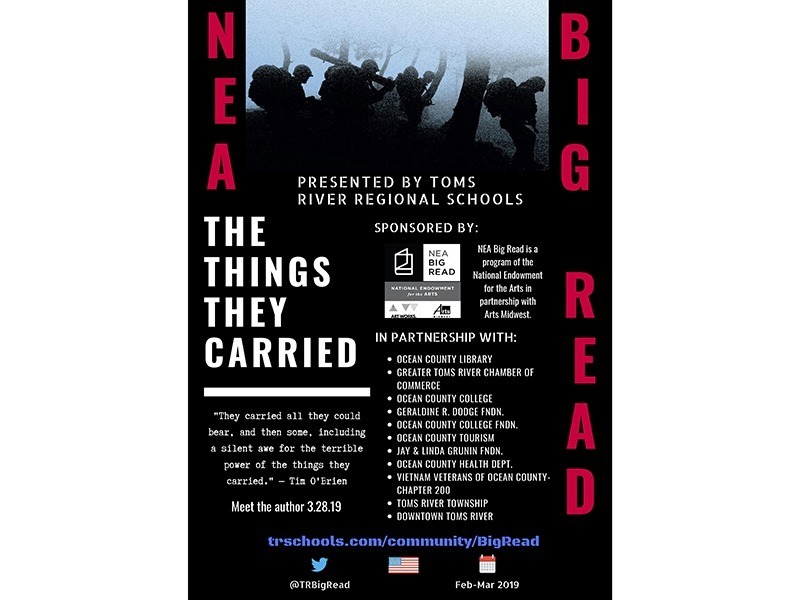 The Things They Carried scribe will speak about his work, war during NEA Big Read keynote event. 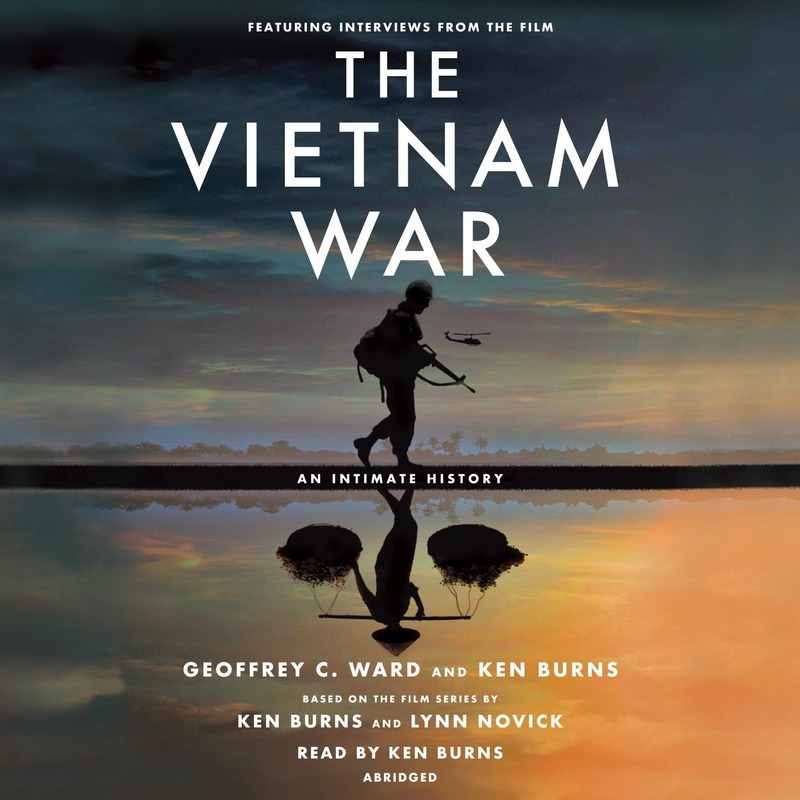 As part of NEA Big Read, Ocean County Library will begin airing selected segments of the Ken Burns PBS documentary series The Vietnam War. 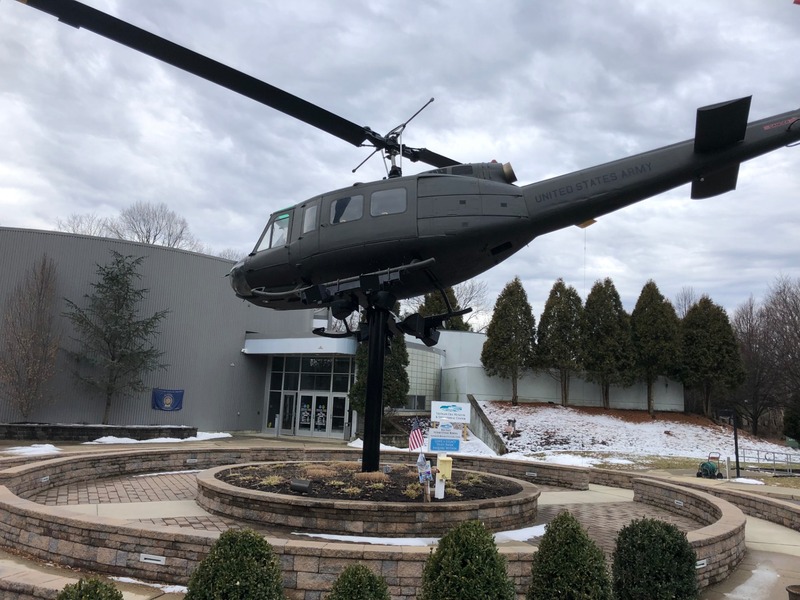 Intermediate South was the first secondary school to host, and welcomed local Vietnam veteran Jeff Shapiro as a guest speaker. 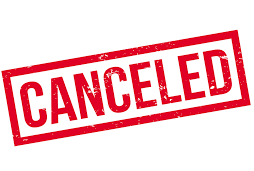 Tonight's scheduled book discussion at Ocean County Library has been canceled. 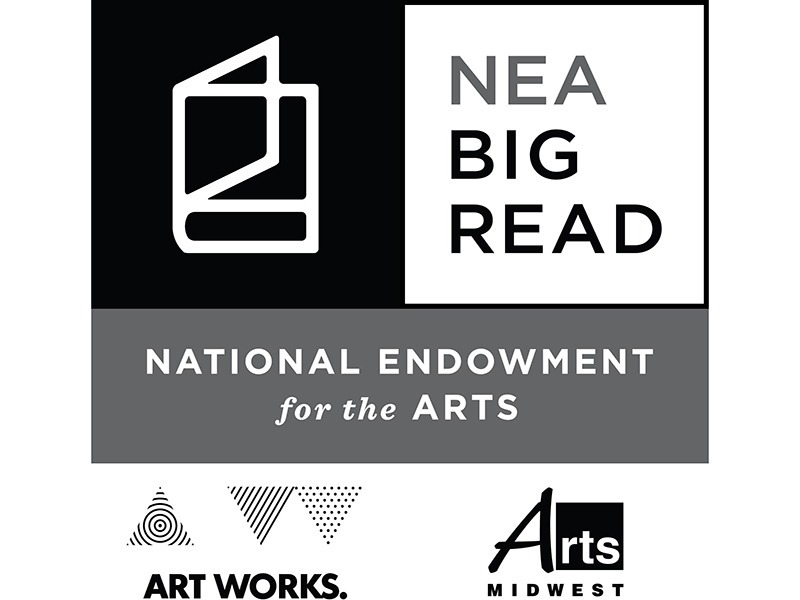 Check the NEA Big Read calendar for upcoming events. 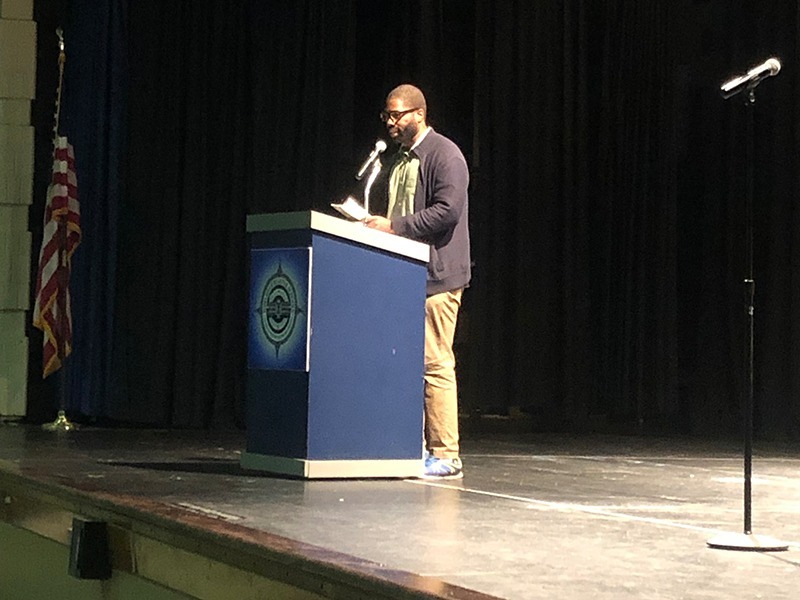 High School North hosted a mini poetry festival, the first of its kind for the district, and the secondary-level kickoff to Toms River’s 2019 NEA Big Read program. A fun-filled evening honored veterans and The Things They Carried. 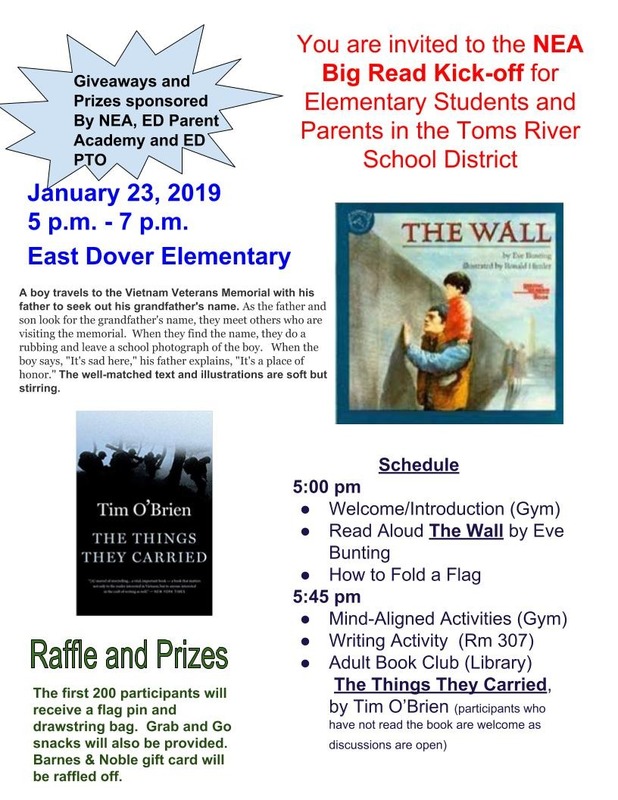 Toms River’s 2018-2019 NEA Big Read program will kick off next week with a free event at East Dover Elementary School. 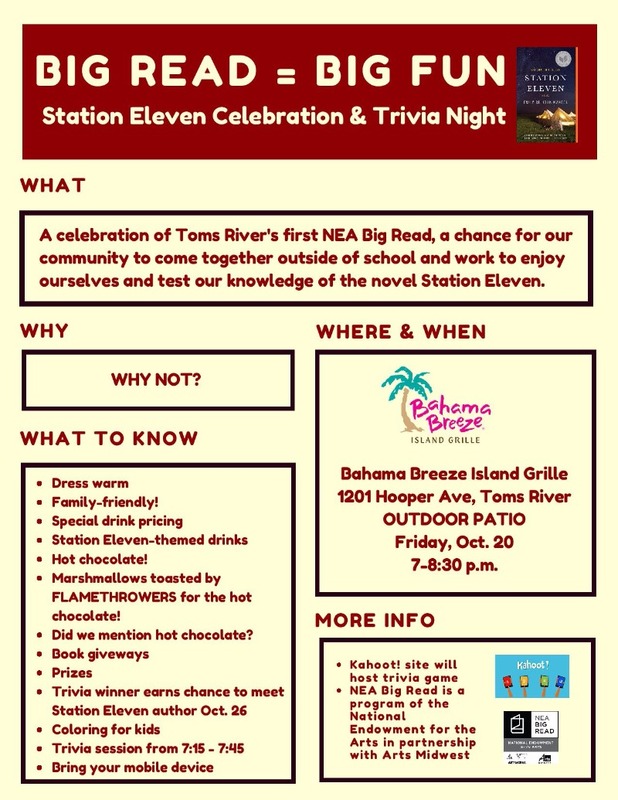 Follow Toms River's NEA Big Read on Twitter for all the latest news, photos, event information, and more. 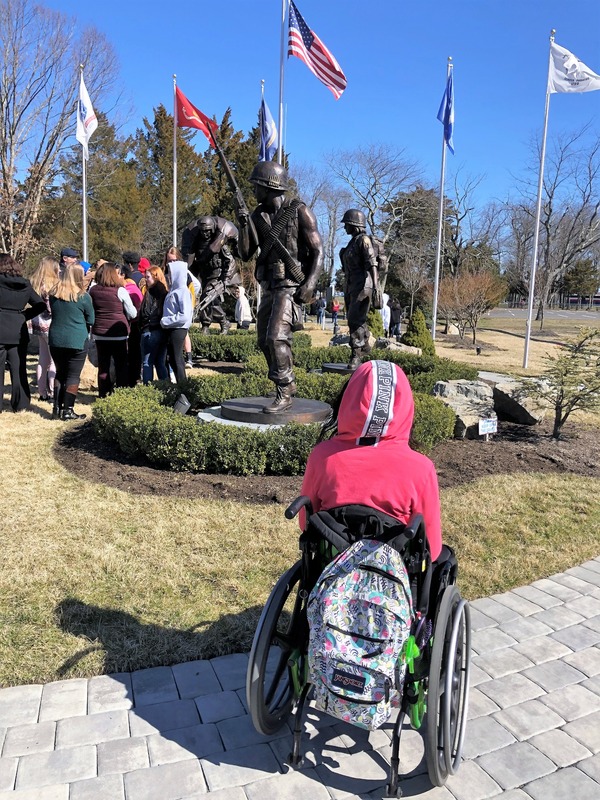 A High School North student reflects at the Protectors of Freedom monument during a March 26 site visit. Vietnam veteran Jeff Shapiro poses with an Intermediate South student during his guest appearance at the school to discuss his experiences during the war. 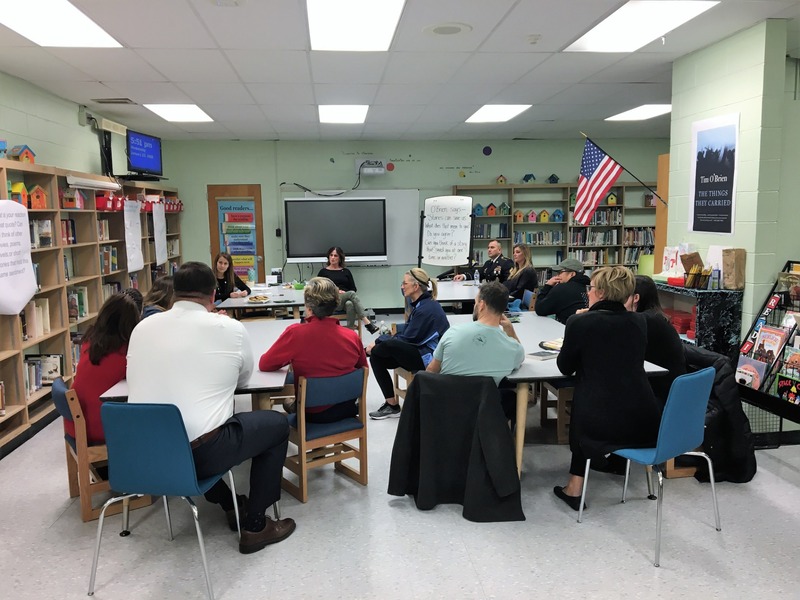 “Cross Curricular Big Read Instruction at the Intermediate Level” was an intimate workshop held Feb. 18 as part of the district's 2019 Professional Development Day. 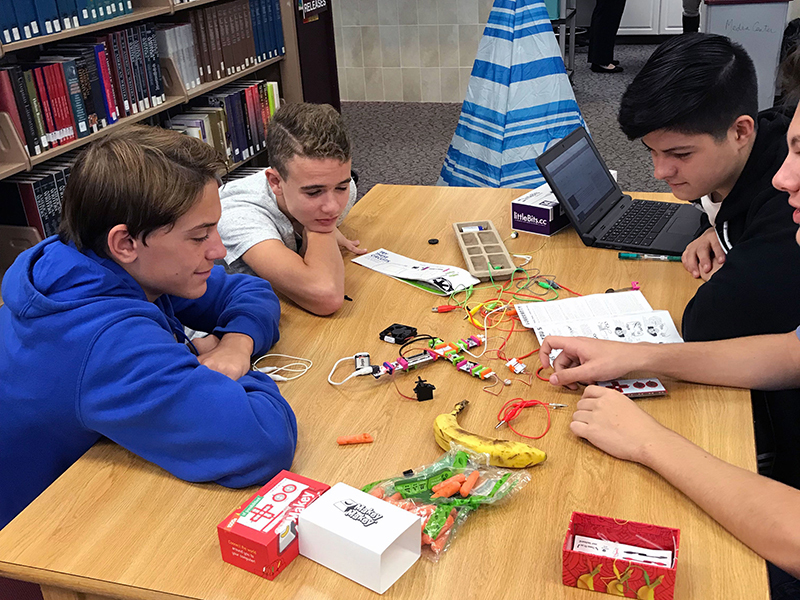 Intermediate educators who are teaching The Things They Carried for NEA Big Read discussed student-centered topics of discussion and how to best incorporate cross-curricular instruction. 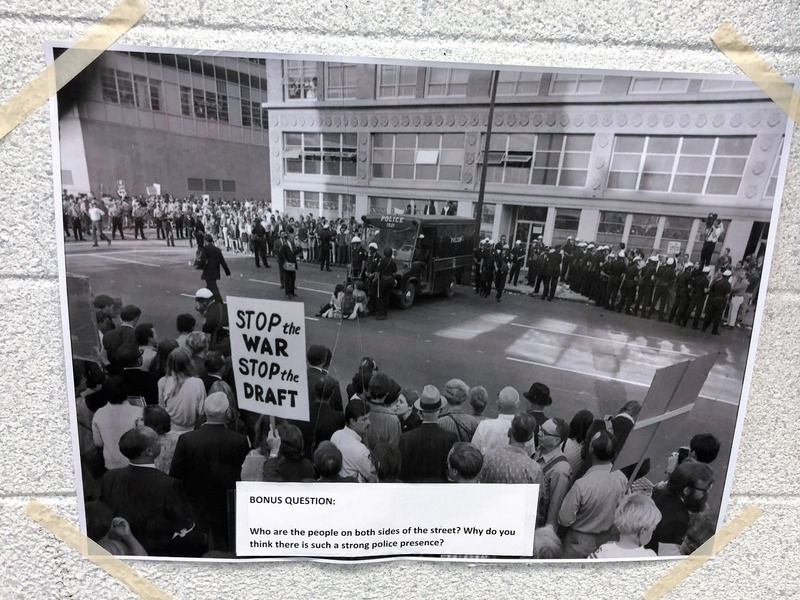 A gallery of Vietnam-era photos—like the one here—include questions for both introspection and classroom discussion. 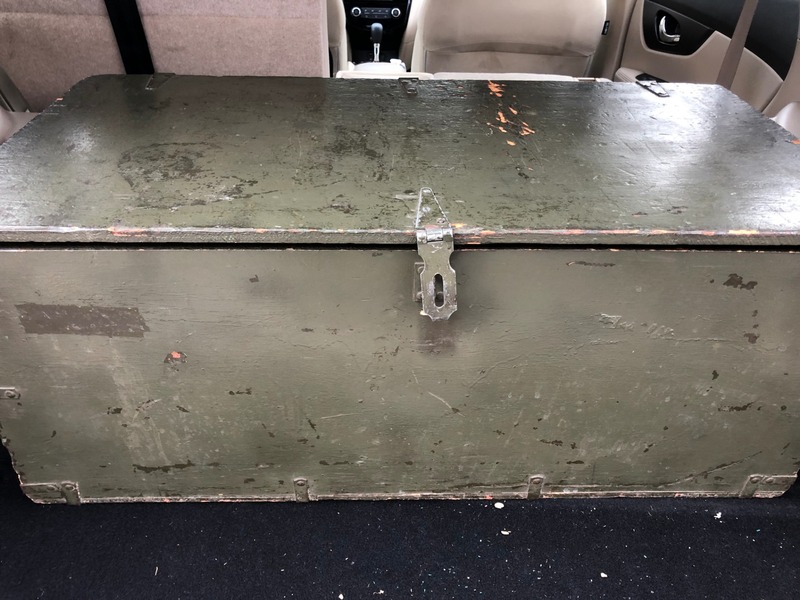 The traveling trunk of Vietnam War memorabilia was picked up from the New Jersey Vietnam Veterans Memorial Museum in Holmdel on Feb. 15. 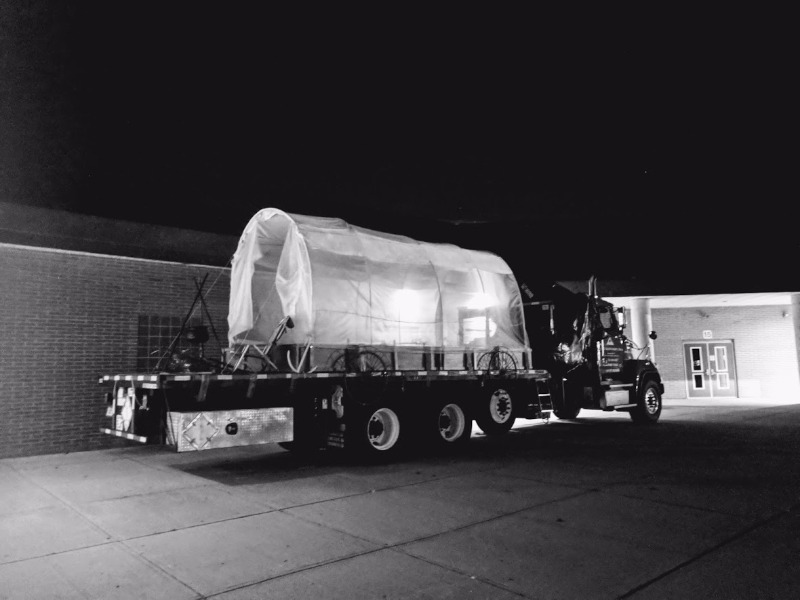 It will travel throughout all secondary schools during February and March. 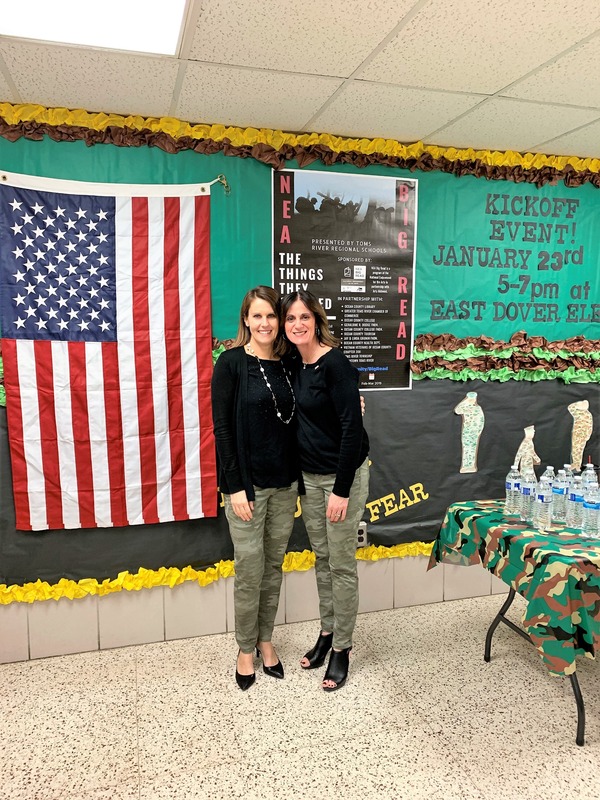 Multiple kickoff event book discussions included parents, school and district administrators, and military personnel. 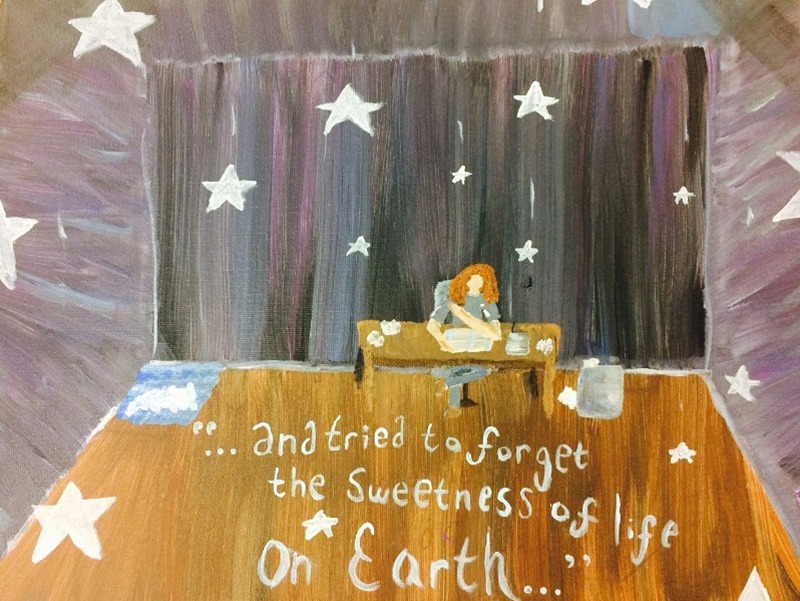 This High School South student is ready for NEA Big Read! 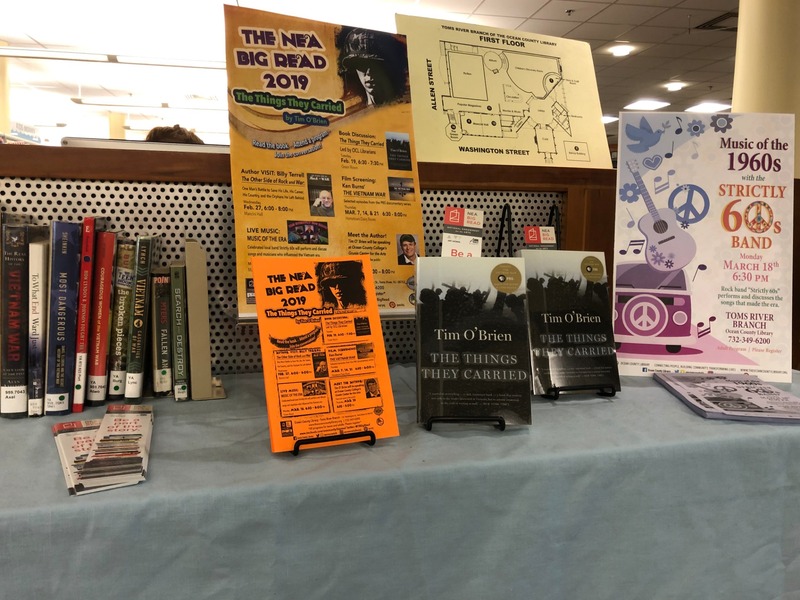 Ocean County Library is lead partner for Toms River's NEA Big Read, and the host of several of its fantastic thematic programs and book discussions. 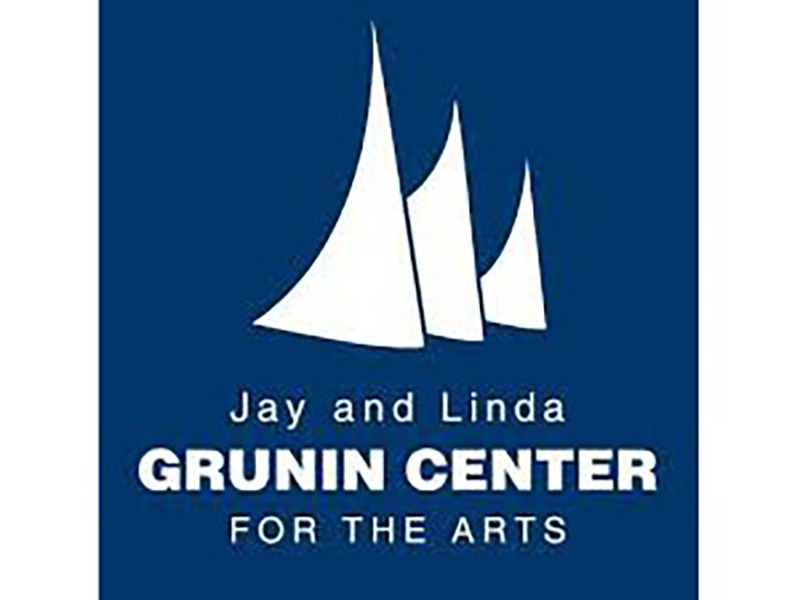 The Jay and Linda Grunin Center for the Arts at Ocean County College will host a keynote discussion on the novel. 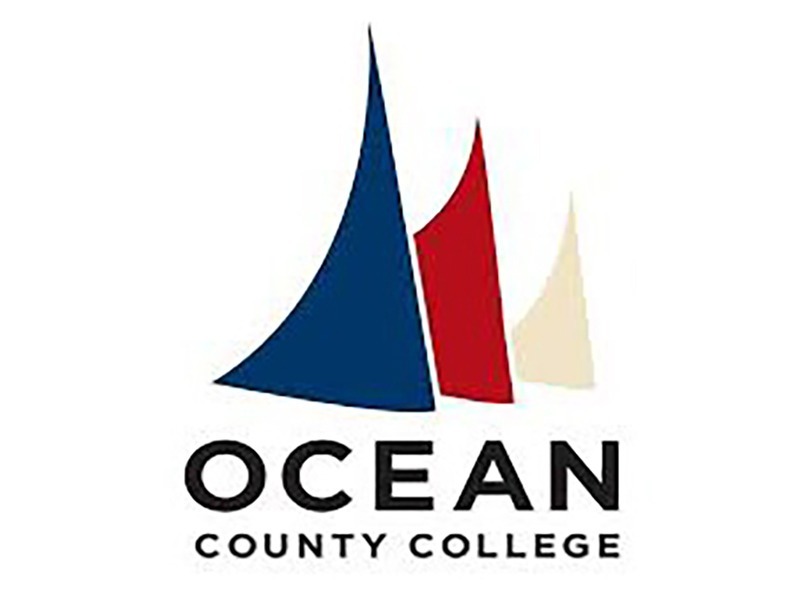 Ocean County College Foundation is sponsoring the March 28 visit from author Tim O'Brien. 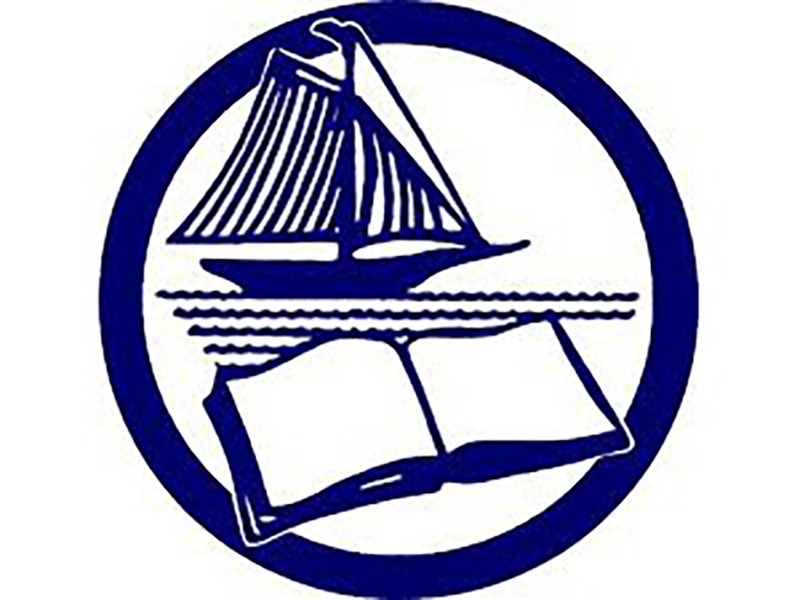 Ocean County College's English Department is supporting efforts to secure an author appearance for NEA Big Read 2018-2019. 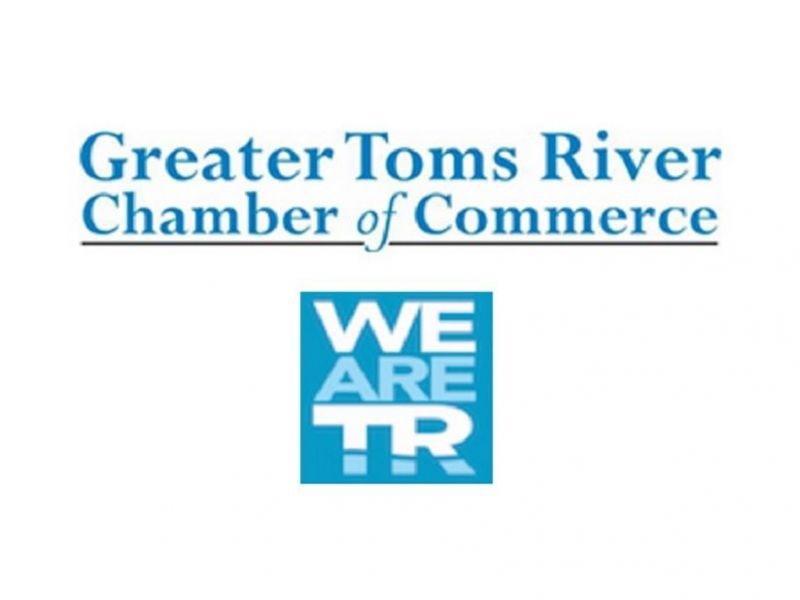 The Greater Toms River Chamber of Commerce is rallying businesses and residents to participate in and support NEA Big Read. After all, #WeAreTR. 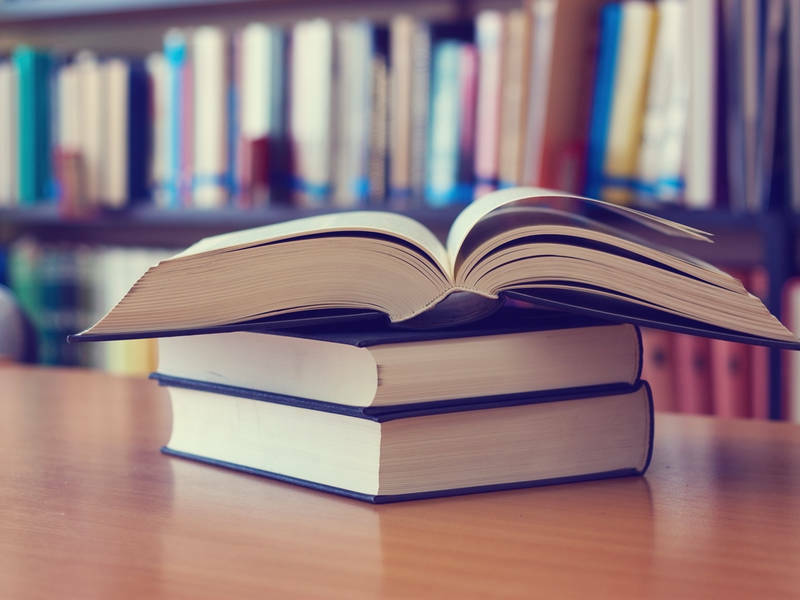 OCHD representatives will help integrate lessons on addiction and mental health into larger discussions based on the novel. 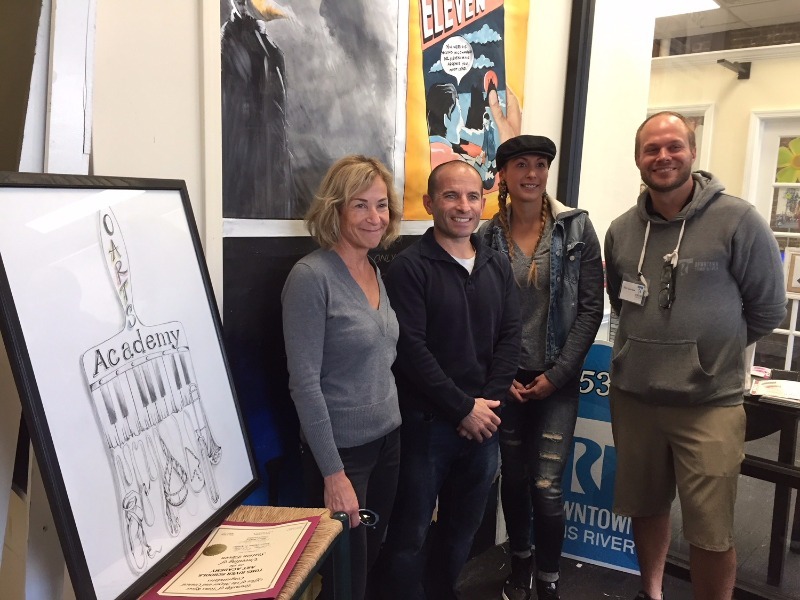 The Geraldine R. Dodge Foundation will co-host, with TRRS, a mini poetry festival for students centered on war poetry and featuring Warrior Poets. 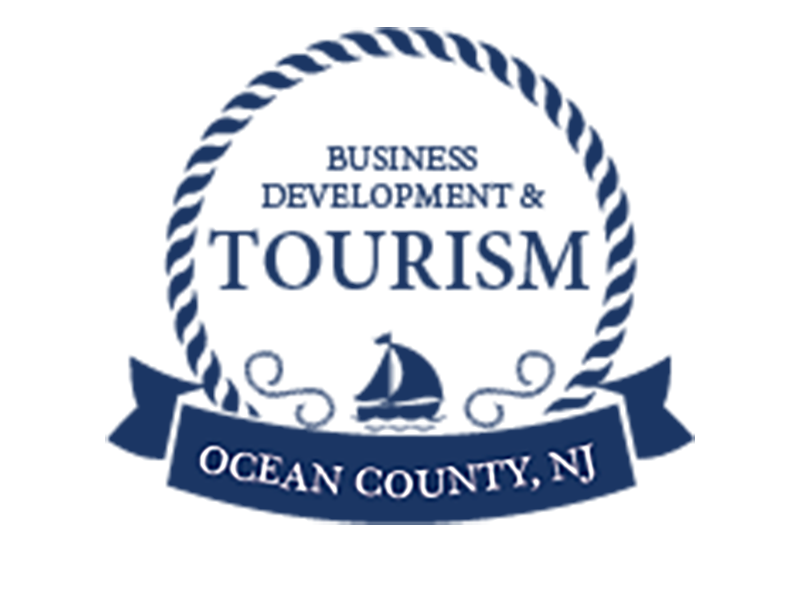 Ocean County Tourism will assist with promotion for NEA Big Read and help align literacy goals with the mission and spirit of local veterans organizations. 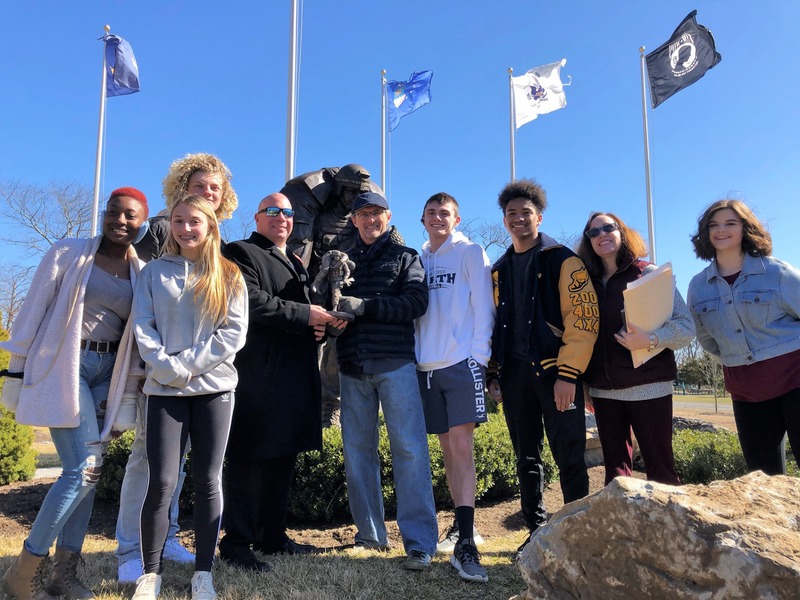 The Jay & Linda Grunin Foundation’s commissioned Protectors of Freedom monument-- built by Toms River artist and NBA Hall of Fame official sculptor Brian Hanlon-- will serve as a site for student field trips and reflections. 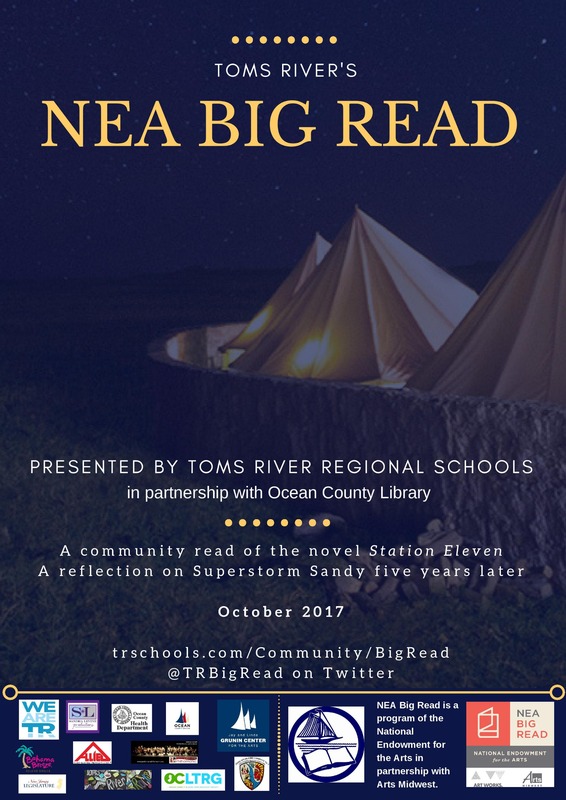 In 2017, Toms River Regional Schools was among the first two public school districts to ever be awarded a grant to host NEA Big Read, a month-long, community-wide literacy campaign based on one novel. 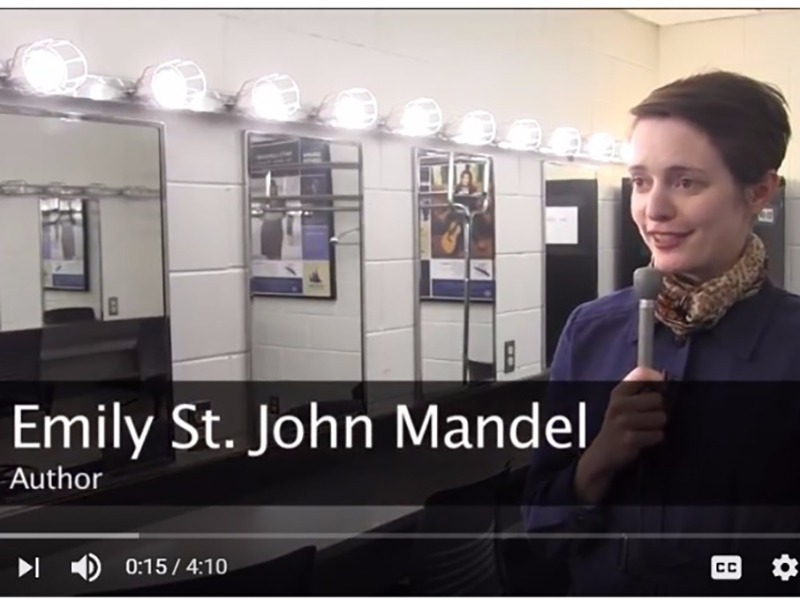 For that initial year, we selected Emily St. John Mandel's award-winning Station Eleven, which we connected to Superstorm Sandy five years after the storm ravaged New Jersey. Author visit and interview on TRSTV! 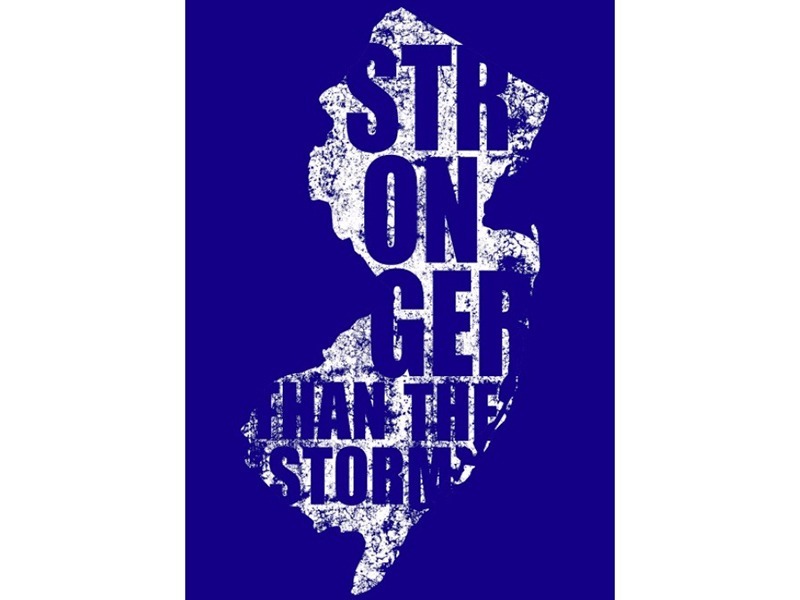 TOMS RIVER, NJ — As the fifth anniversary of Superstorm Sandy's devastating impact on Toms River and the Jersey Shore approaches, the Toms River Regional School District is launching a monthlong reading program to connect with the community and give people a chance to reflect on those events. 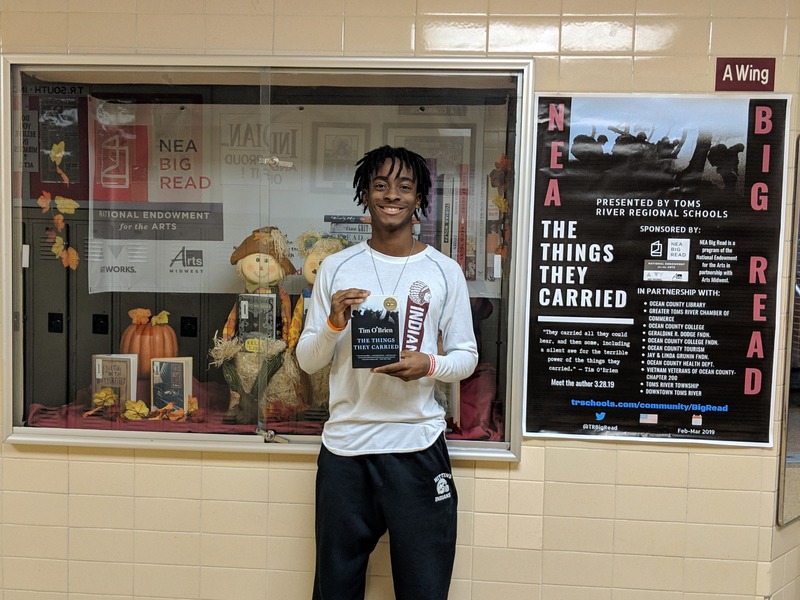 Big Read Kickoff Event TONIGHT! 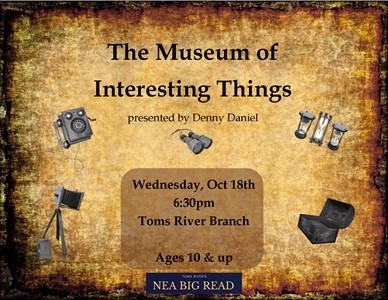 Join us tonight from 6:30-8 p.m. at Ocean County Library for Toms River's NEA Big Read Kickoff Event. 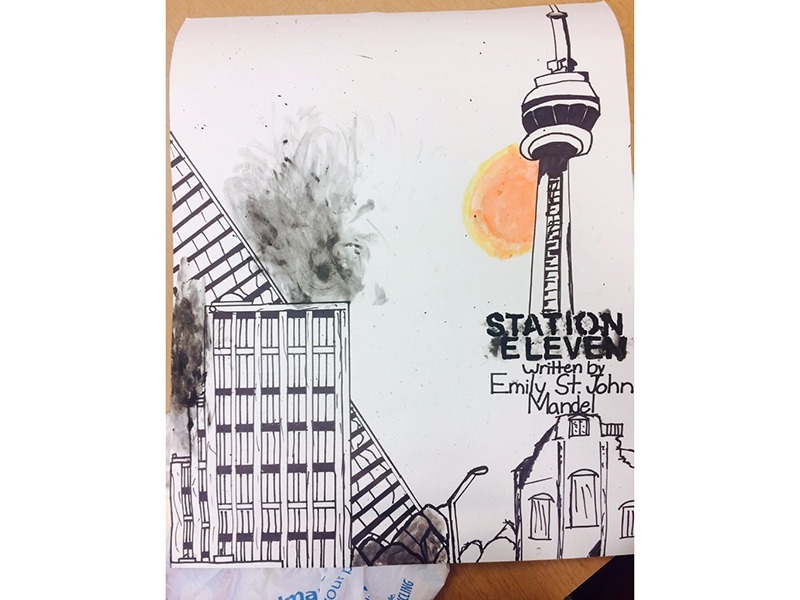 Door prizes, engaging discussions, student performances, and more will help set the tone for a month of Station Eleven and Superstorm Sandy reflection. You can RSVP for the event below. See you there! 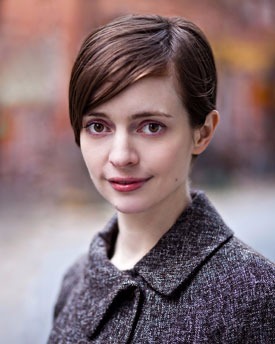 In fact, there are already two lucky winners who found a wrapped copy of Station Eleven out in the community that includes a golden ticket to meet author Emily St. John Mandel Oct. 26. Are you out looking? 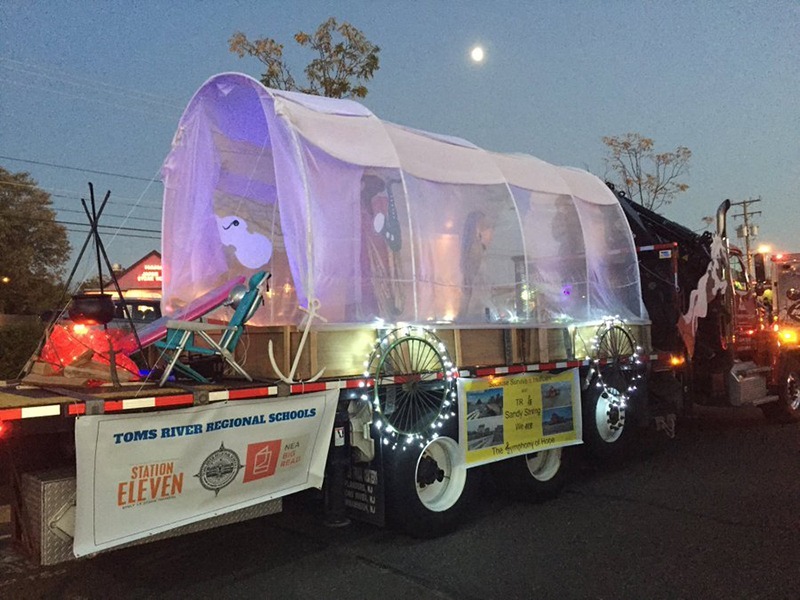 Follow the Toms River Rocks Facebook page (below) for more info. Happy hunting! 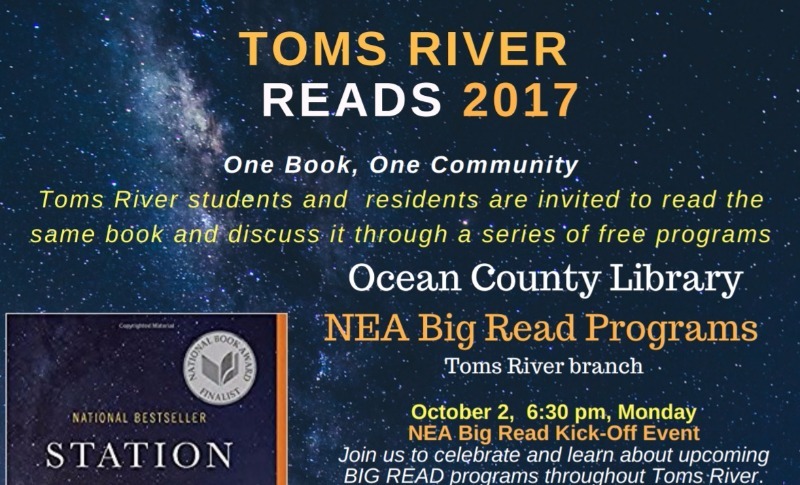 All Toms River NEA Big Readers can now RSVP to the Oct. 2 Kickoff Event and all library events on the OCL calendar. You can even set up reminders and view more info. 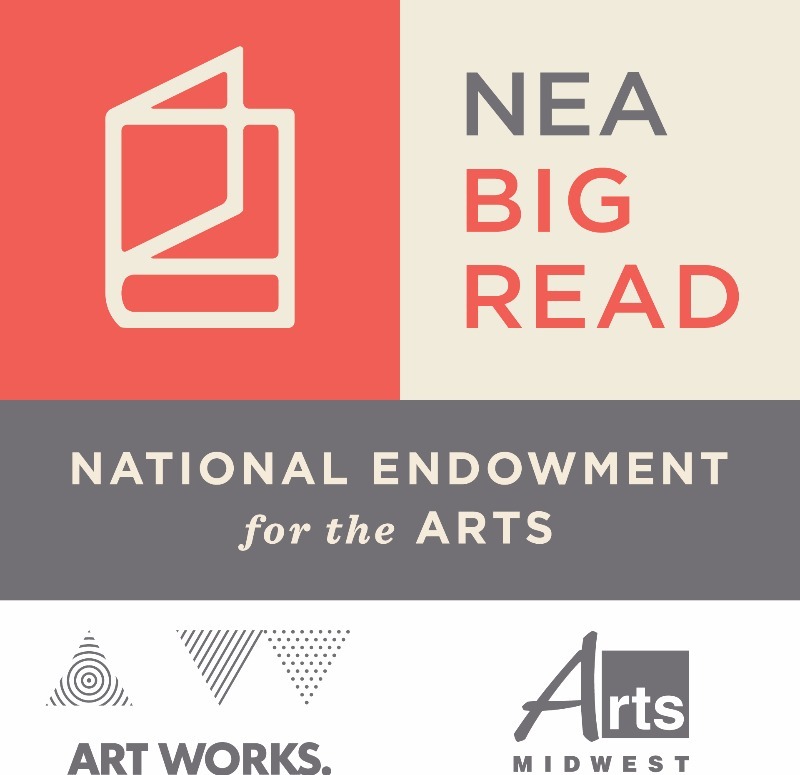 Click below to sign up and secure your spot for these fantastic Big Read events! 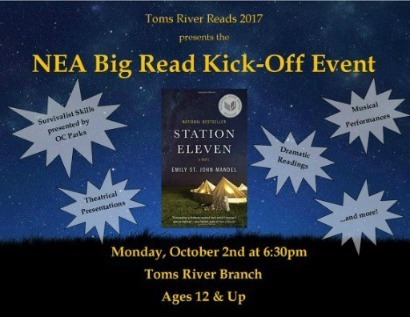 Check out the timeline for Toms River's first NEA Big Read! 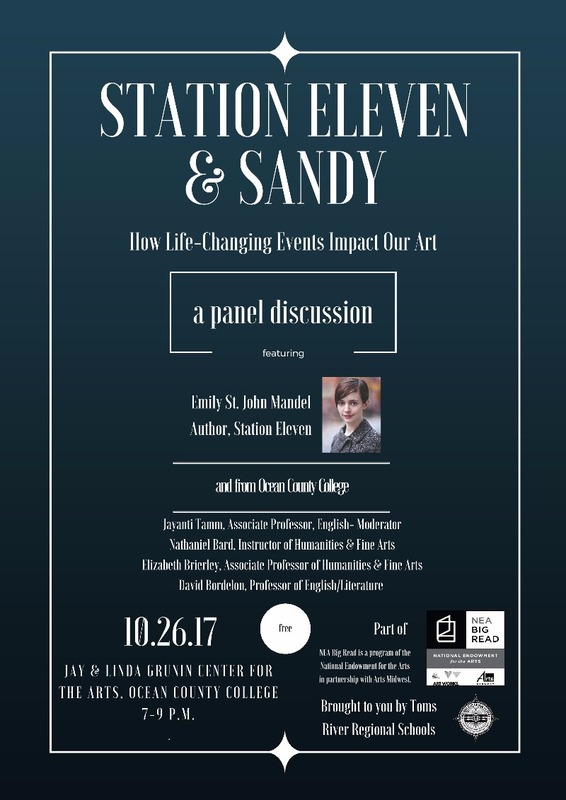 It's chock full of unique opportunities to discuss and celebrate Station Eleven, reflect on Sandy, learn and create, and interact with family, friends, and neighbors. 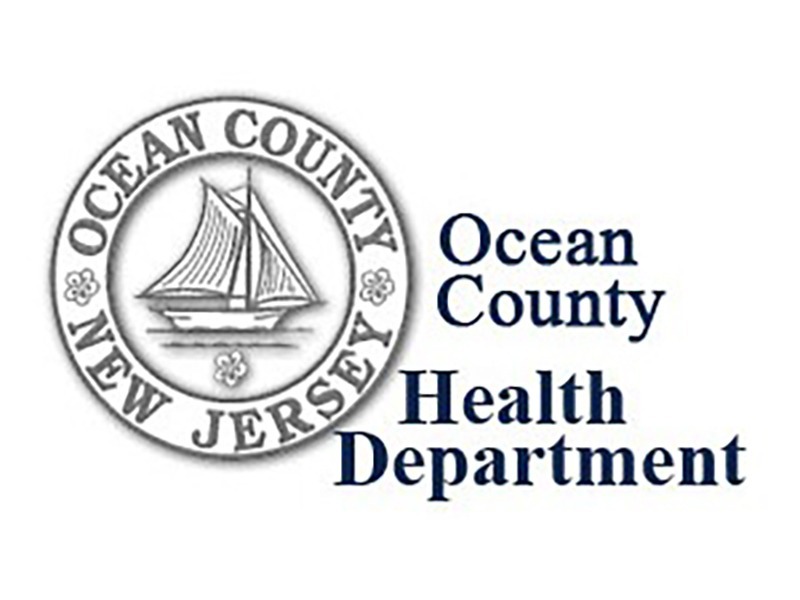 Don't forget to join the program and sign up for text alerts (see side links)! 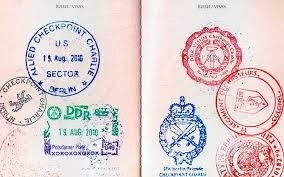 Get your Big Read passport stamped! 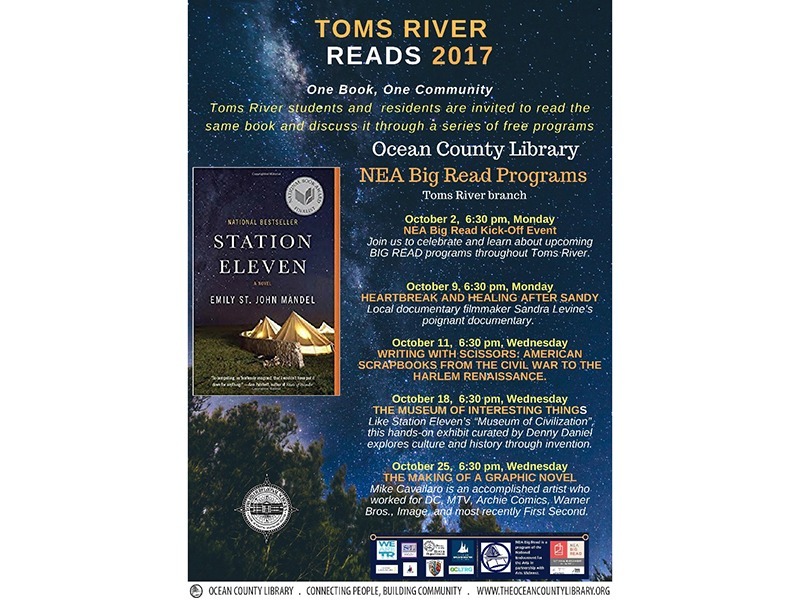 Ocean County Library has released its October programming schedule for Toms River's first NEA Big Read. Events will be part of the larger month-long timeline (coming soon!). 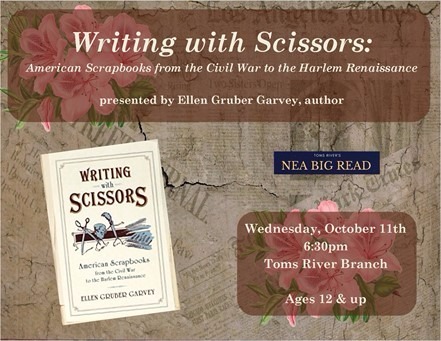 Mark your calendars now-- this is going to be great! 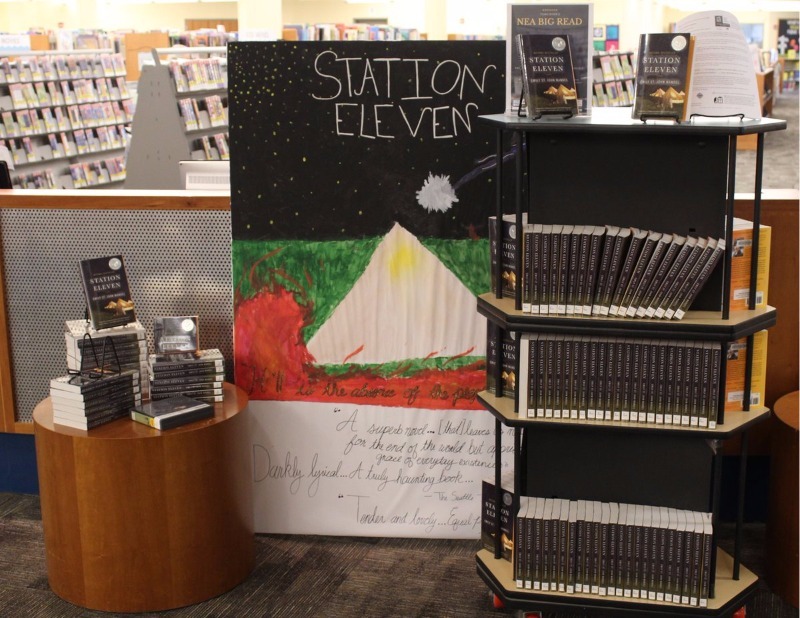 At Ocean County Library, plenty of copies of Station Eleven are ready to be checked out. 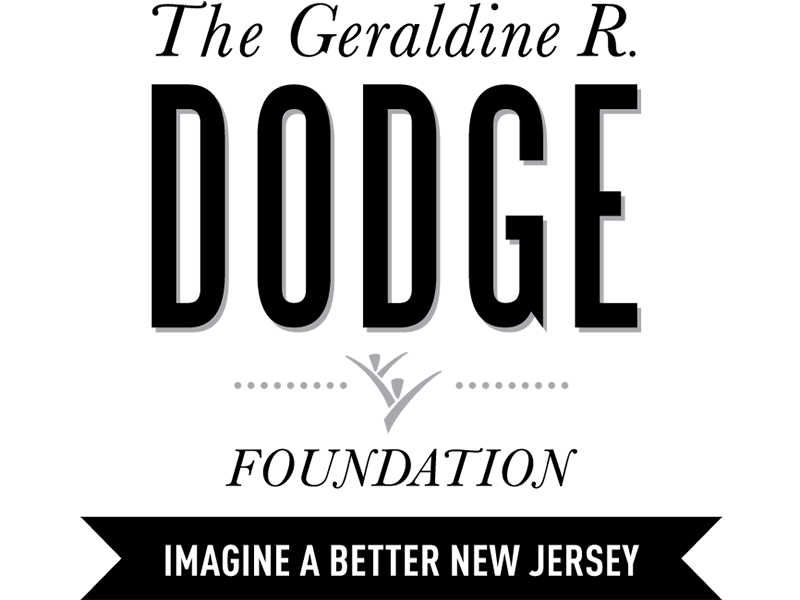 So what are you waiting for, Toms River? Get ready for NEA Big Read this October by reading the fascinating novel this summer ... you're going to love it. 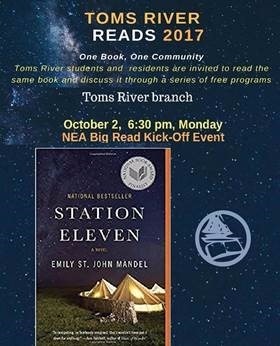 Station Eleven author Emily St. John Mandel will be joining Toms River for its first NEA Big Read. 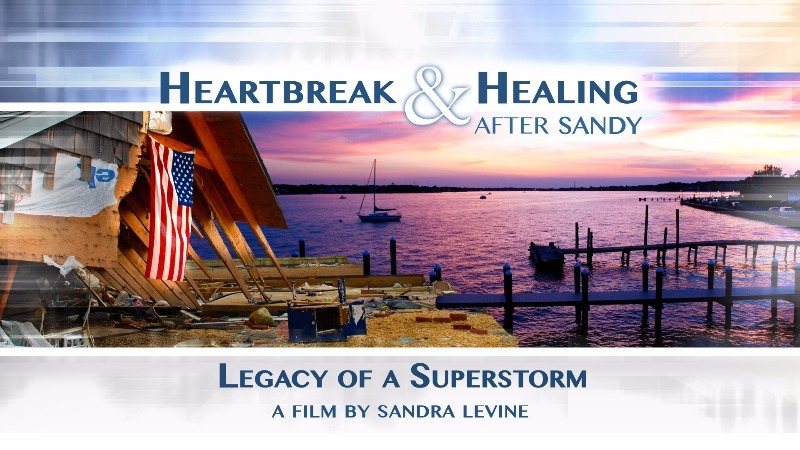 She'll be taking part in a panel discussion Oct. 26 at OCC's Grunin Center for the Arts. More info to come, but in the meantime, mark your calendars. 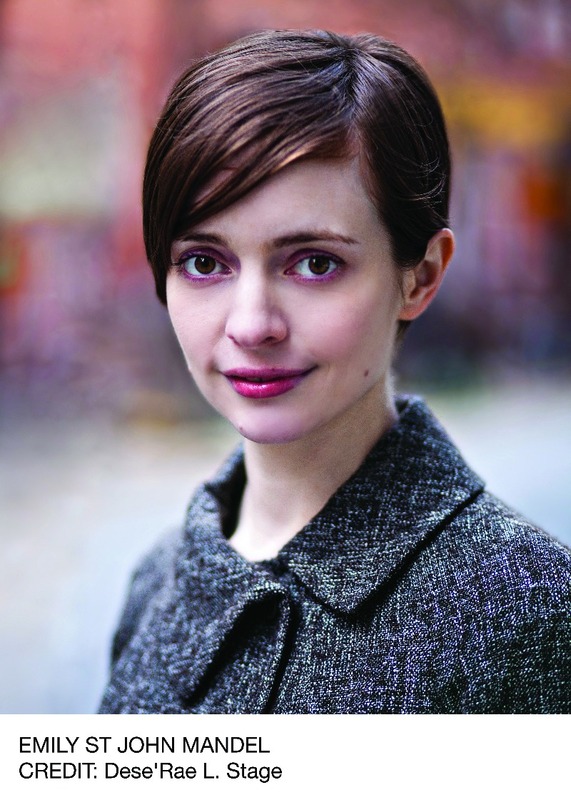 Learn more about this bestselling novelist by clicking below. 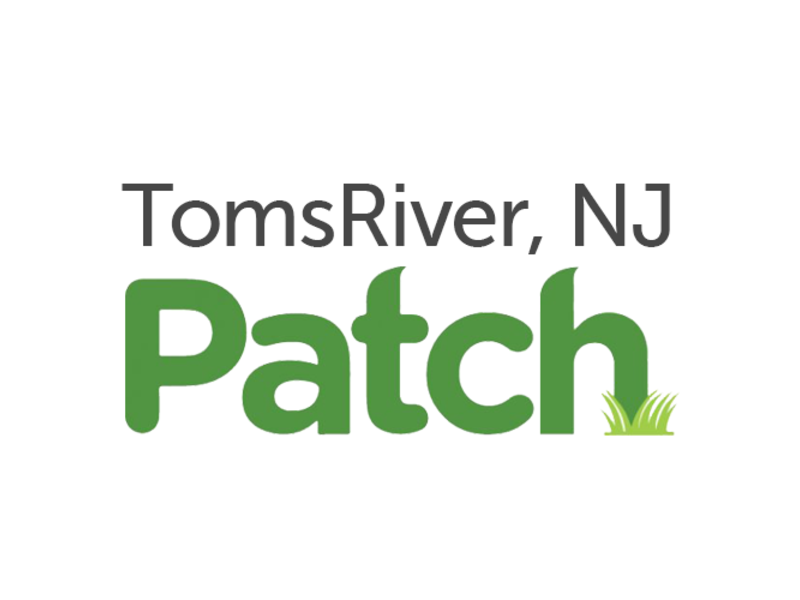 TOMS RIVER, NJ — The Toms River Regional School District has been awarded a $14,000 grant from the National Endowment for the Arts Big Read program for a community-wide reading program that that will tie into the fifth anniversary of Superstorm Sandy. 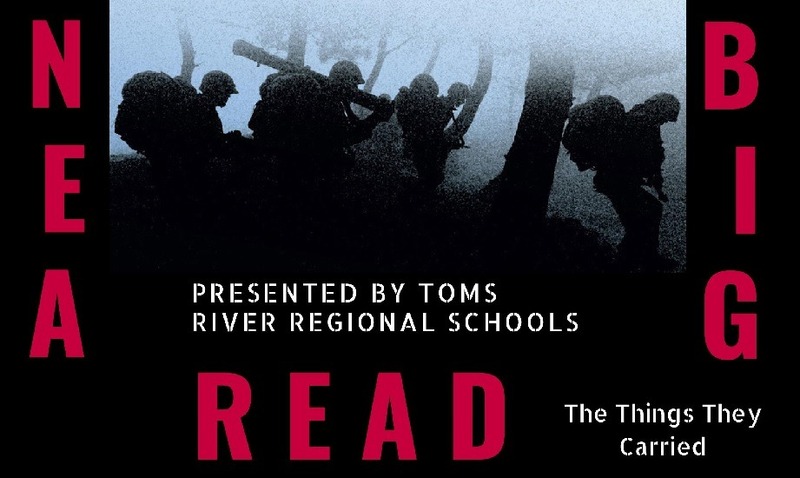 NEA Big Read is coming to Toms River. 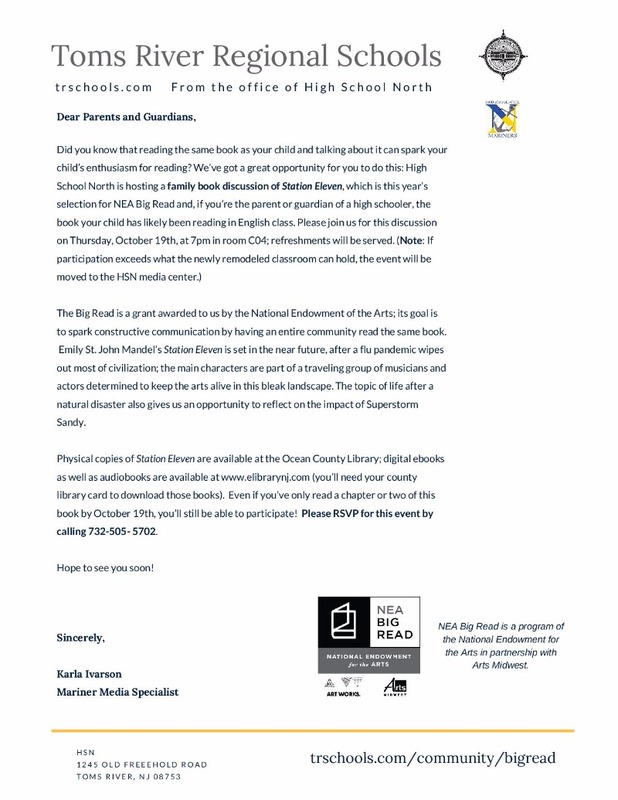 A program of the National Endowment for the Arts (NEA), NEA Big Read is designed to “broaden our understanding of our world, our communities, and ourselves through the joy of sharing a good book.” Toms River Regional Schools is one of 75 not-for-profit organizations to receive a grant to host a project between September 2017 and June 2018.